Resort style living at its finest. The curb appeal of this lakefront home is like nothing else in the sought-after Arrowhead Lakes community. You’re met with the paved driveway and flowing river in the front of the home that ties together perfectly with incredible landscaping by design throughout. Boasting 5 bedrooms and 4.5 bathrooms, at 5,531 square feet this luxury home has it all. Start your wine collection now to fill this custom temperature controlled 700+ bottle wine cellar. Entertaining guests and family with their own private guest quarters and 8-seat theater room will never be a problem. Two home offices will make the commute to work a breeze! The backyard is the entertainer’s dream with million dollar views, this outdoor paradise will not disappoint. Come view this home today! Full pool update in 2016. Approximate size: 14500.00 sq. ft. Please, send me more information on this property: MLS# 5775369 – $997,000 – 21680 N 56th Avenue, Glendale, AZ 85308. 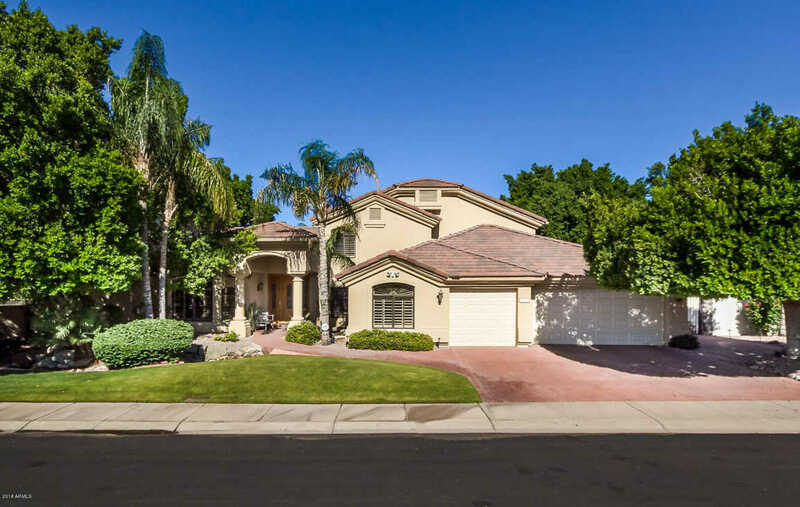 I would like to schedule a showing appointment for this property: MLS# 5775369 – $997,000 – 21680 N 56th Avenue, Glendale, AZ 85308.